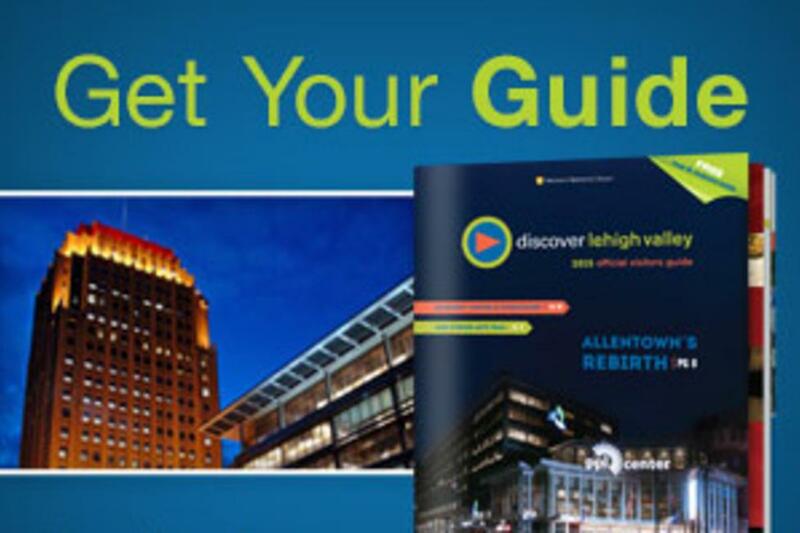 The 2015 Discover Lehigh Valley Official Visitors Guide is out! This year’s brochure includes a special feature on Allentown’s rebirth, including a striking cover image of the new PPL Center in the city’s downtown area. New icons throughout the guide make it easier to find locations that are ADA compliant, have meeting space, and are group tour friendly. You can download a digital copy on our Free Brochures page or you can contact Suzanne if you would prefer physical copies by e-mailing her at suzanne@DiscoverLehighValley.com. Copies can also be ordered by calling 610-882-9200 or 1-800-MEET-HERE.